Fusco Subdivision - Ira M. Emanuel, P.C. 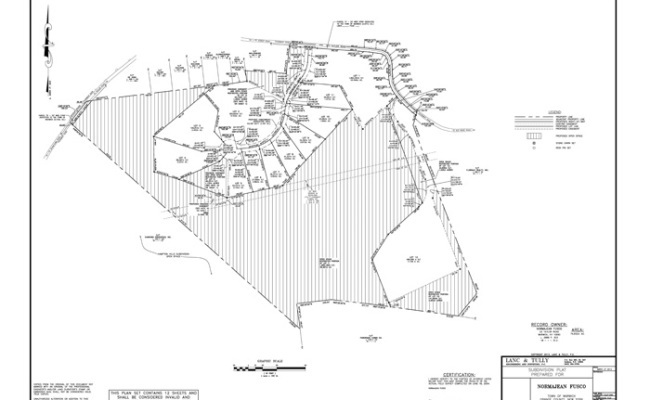 12 lot subdivision of an existing horse farm. The unusual design of this subdivision retains extensive areas of wetlands and slopes as open space, enhancing and preserving a wildlife corridor along a stream. The design conforms to the recommendations of the Southern Wallkill Biodiversity Plan. One of the lots is reserved for affordable housing, per Town of Wallkill requirements. 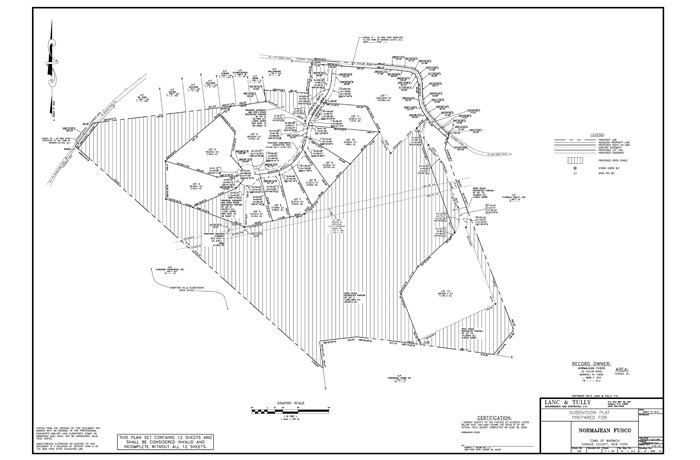 The original plan called for 13 lots, but two lots were subsequently joined together at the owner/applicant's request. The project was approved in sections to allow the upper lot to be sold without requiring the installation of improvements on the lower twelve lots - a considerable savings to the owner during a soft residential market. Approvals include average density (cluster) approval and subdivision approval.